Caring for a loved one who is often short of breath and anxious can be taxing, overwhelming, and sometimes even scary. We are your long-term care partners in alleviating the stress caused by these unpredictable changes seen in patients with Chronic Obstructive Pulmonary Disease (COPD). Our caregivers help keep an eye on your loved one day-to-day and are trained to report any important changes, provide assistance with adjusting to a new lifestyle with an oxygen tank and facilitate ease of social outings and daily errands including attending a pulmonary rehabilitation program or support group. All of which can help to alleviate family caregiver burnout. 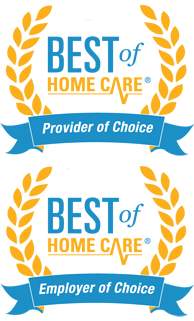 Homewatch CareGivers offers In-Home Health Care Services and Support for Patients with COPD and other Chronic Lung Diseases throughout Chicago and the North Shore suburbs including both Cook County and Lake County. We provide our home care, senior care and dementia care services to residents of Arlington Heights, Buffalo Grove, Chicago, Deerfield, Des Plaines, Evanston, Glencoe, Glenview, Highland Park, Fort Sheridan, Highwood, Kenilworth, Lake Forest, Morton Grove, Niles, Northbrook, Park Ridge, Lincolnshire, Lincolnwood, Libertyville, Skokie, Wilmette and Winnetka.